Here you are four exercises to practice comparative structures. There is one filling the gaps and the other three are rephrasing exercises. Have a nice weekend. 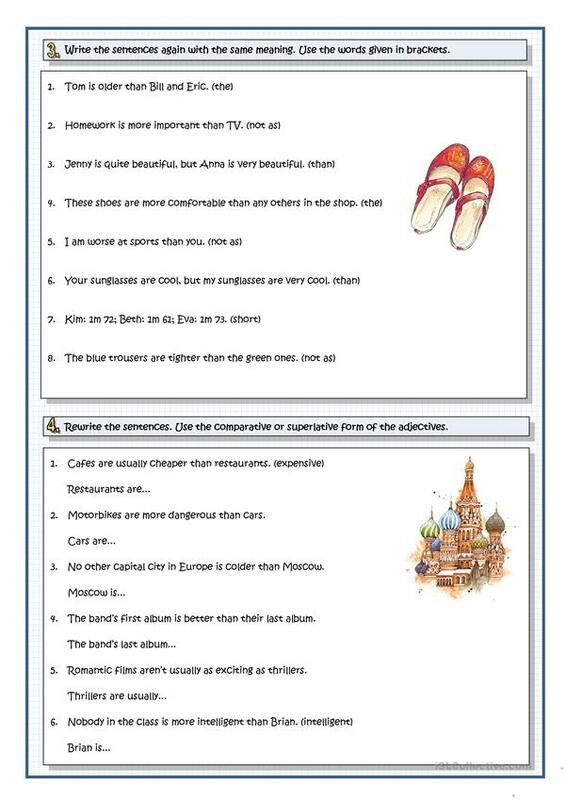 The above downloadable handout is meant for high school students and adults at Pre-intermediate (A2) level. 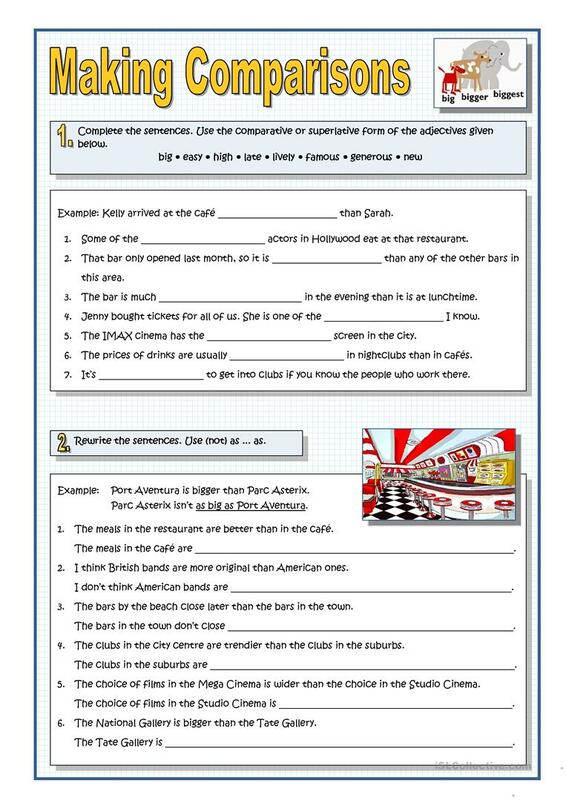 It is aimed at revising Comparison (comparative and superlative) in English, and can be used for strengthening your class' Writing skills. It is focused on the theme of People.